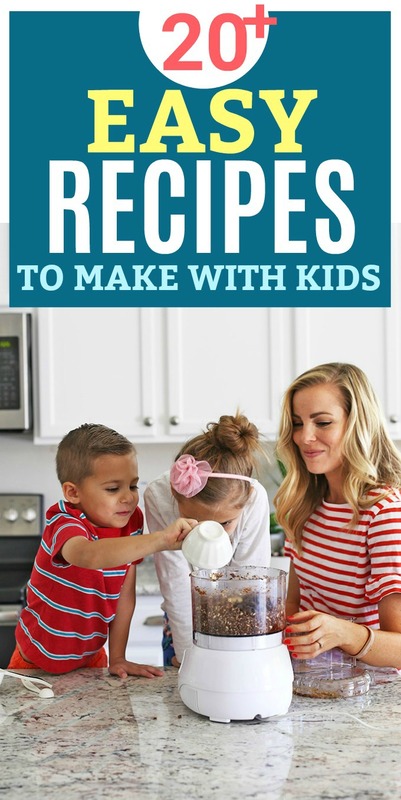 20+ Easy Recipes to Cook with Kids – Simple, no-fuss recipes to make with your kids. Plus, lots of ways to include them in the cooking! If you’re house is like my house summer = SO MUCH FUN! and also SO MUCH DOWN TIME. We have a good mix of planned and unstructured time, and but just about every day my kids ask to be in the kitchen with me. 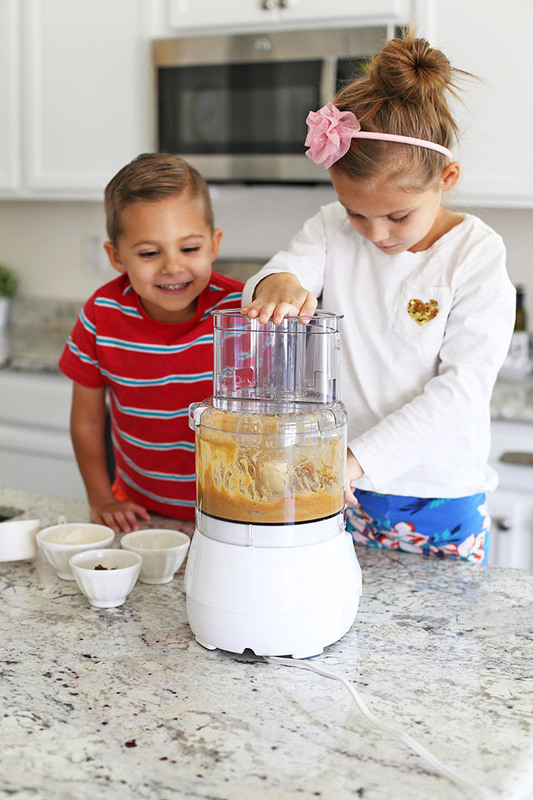 Having kids in the kitchen with you can be such a great way to include them in the meal planning, encourage them to try new foods, teach them new skills, and keep everyone busy for a little bit. 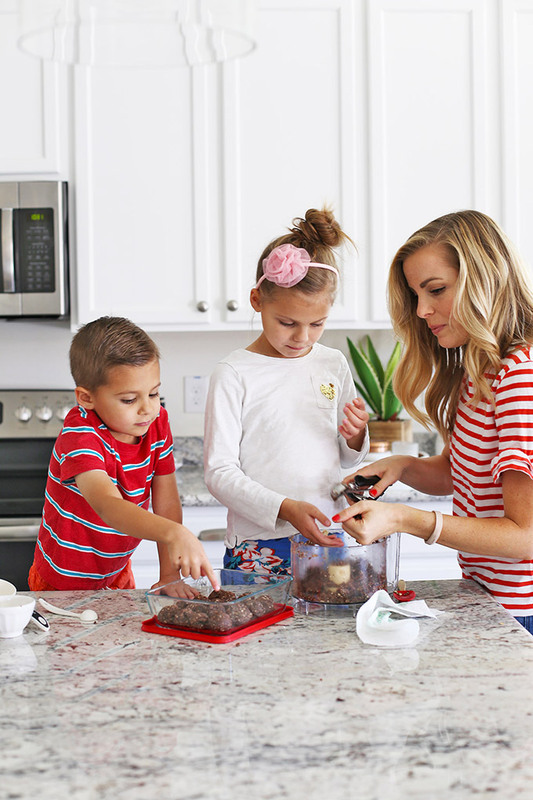 Since I know I’m not the only mom with kids on summer break, here are a few really easy recipes your kids can help with in the kitchen. They’re very forgiving, easy, and delicious! 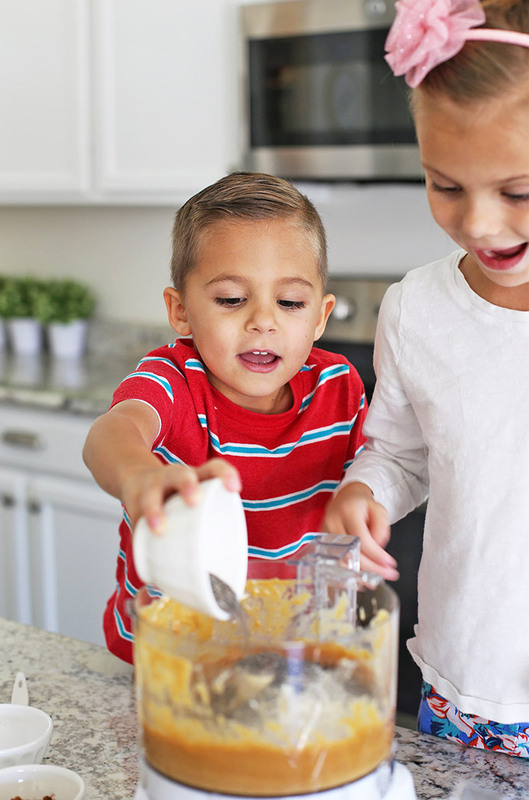 Stirring or Mixing – Kids love stirring, even if the item doesn’t really need to be stirred (like diced veggies) or a small bowl of chocolate chips. My rule is the smaller the child, the bigger the bowl. The mess will be better contained–promise! Pushing Buttons – Food processors, blenders, stand mixers, etc. Obviously, an adult will want to be sure all sharp items are well covered, lids are on, etc. But kids love pushing buttons! Moving – My kids started wanting to help in the kitchen before they were big enough to really help. I’d hand Sophie a pair of tongs and have her move the veggies I was slicing to a big mixing bowl, or move them from one plate to another, etc. Milo still loves this job at age 5. Sorting – by color, shape, etc. I used to have Sophie make patterns with colors of veggies or fruits, or arrange things biggest to smallest, etc. Counting – Count scoops, count chocolate chips, could how many grapes fit in a cup, count to 10 while you mix, etc. Arranging – One of my kids FAVORITE kitchen jobs is arranging a fruit plate or veggie plate. They make a fancy design (a pattern, a shape, arrange in rainbow order, etc.) Plus, if they “sneak” a taste, it’s just fruits and veggies! Scooping – Let them scoop out the ingredients from a large bowl to a smaller one, scoop melons with a melon baller, or add pre-measured ingredients to your bowl. Slicing* – Even a small child (like 3 years old) can “slice” ripe bananas with a dull butter knife with supervision. It’s a great way to teach them how to hold a knife, where to put their hands, etc. *For bigger kids, you can graduate to a kids’ knife–this one comes with a finger guard. It IS a decently sharp knife, so you very much need to supervise, but it’s a good beginner option. Sophie just got hers for her 7th birthday. As for recipes, these are forgiving recipes. That means that a tiny bit too much of something won’t ruin everything, or the mixing doesn’t have to be totally perfect. There’s very little involved “technique” and the recipes themselves tend to be really kid friendly. 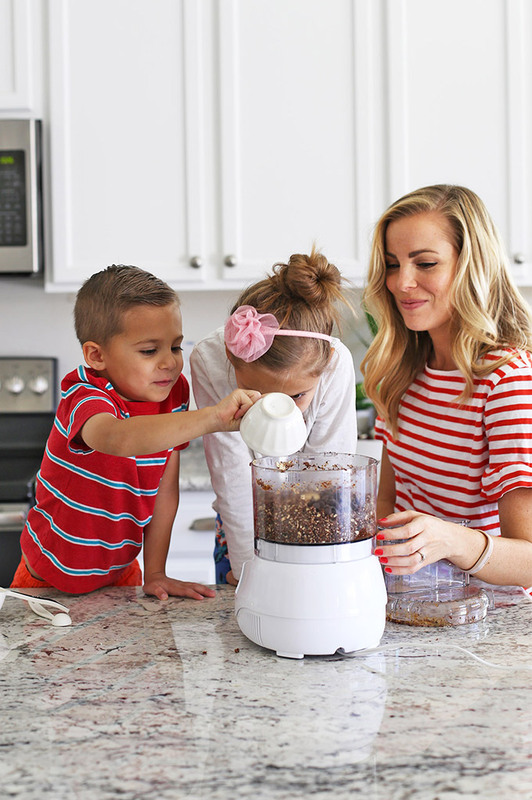 Just as easy as smoothies, and fun to pull out later! We eat homemade popsicles almost every single day of summer. Give it a try with one of Our Best Popsicles Recipes and our favorite popsicle mold. This is always a big hit because everyone can build their own! Package them in little baggies to take to the pool, or let everyone build their own little jar or bowl to snack from throughout the week. See some of our favorites in our Build Your Own Trail Mix Bar! Muffins, waffle or pancake batter, scrambling eggs, spreading jam on toast… it all tends to be kid friendly! Tip: when my kids help crack eggs, we crack them into a small bowl one at a time so we can remove any stray shells before adding them to our batter or bowl. I also keep a small towel close by so they can wipe their fingers on it after cracking the eggs. 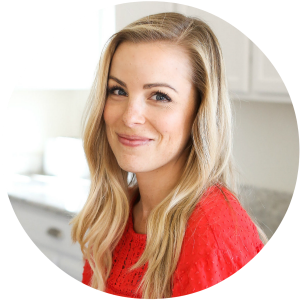 I’ve got lots and LOTS more kid-friendly recipes in my archives. If you have any questions, just ask! I know that cooking with kids can be a little (or a lottle!) intimidating, and almost always more time-consuming and messy. I don’t include my kids in the kitchen at every meal and snack, but I find when I do include them, they love it. And it gets easier (and less messy!) over time. Hang in there! 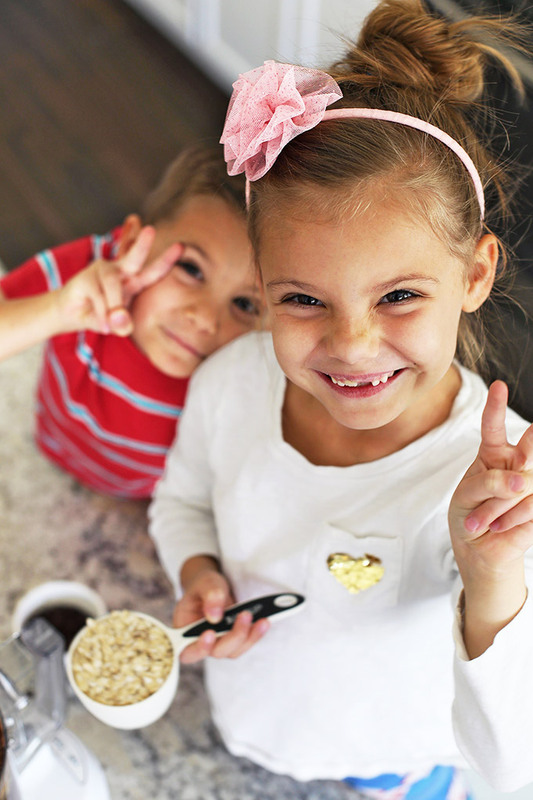 Do you have any favorite recipes to cook with kids? Any favorite ways to include kids in the kitchen? I’d love to share more of your ideas below!